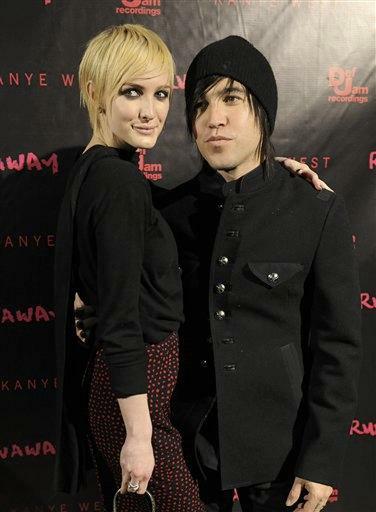 LOS ANGELES (AP) - Ashlee Simpson and Pete Wentz are falling out of marriage. Simpson filed for divorce from the Fall Out Boy bassist on Wednesday in Los Angeles, citing irreconcilable differences, court records show. The singer and actress is seeking physical custody of their 2-year-old son. "After careful consideration, we have made the difficult decision to file for divorce," the former couple said in a joint statement. "We remain friends and deeply committed and loving parents to our son Bronx, whose happiness and well-being remains our No. 1 priority." Simpson married Wentz in May 2008 and her court filing does not indicate when the couple broke up. She is the sister of performer Jessica Simpson and has released three albums and appeared in the reboot of the television series "Melrose Place." Wentz's band, Fall Out Boy, said in early 2010 that is was taking a break, although the 31-year-old said at the time that the group's breakup had been blown out of proportion.